Strategic talent development has several aspects: the ability to mentor others, the leadership and other soft skills required to advance oneself, and the perspective needed to see talent gaps in an organization. 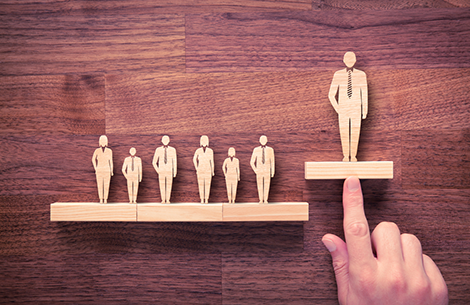 If you are applying for a job in middle to upper management—up to and including the C-level—your resume must reflect your abilities in strategic talent development and management. First, strategic talent occurs at every level of an organization. Your ability to recognize and mentor it is an important soft skill. Your resume should show solid results from your mentoring, perhaps by reorganizing teams for greater productivity, developing direct reports into management roles, conducting training at your company’s request, or reducing turnover. Second, your resume should show your commitment to developing your own talents. Perhaps you were chosen out of a number of candidates for a particular role; perhaps you were quickly promoted within your company; or perhaps you took courses in leadership or in a technology important to your company. Speaking engagements and opportunities to serve as a subject matter expert in your field are excellent indicators of your talent. Finally, companies need employees who can help to reach their goals. The achievements on your resume should show that you understand the strategic goals of organizations and how to reach them. Your resume should show how your talents align not only with the goals of your current company, but with the goals of the company where you want to work. You should research the pain points of that prospective company and address them in your resume or cover letter. Did you help create job descriptions and performance metrics that built a clear path for employee advancement? Did you find ways to engage employees who were resisting change or seemed unable to meet goals? Did you turn around a division or an entire company? Did you help identify areas where your company could better align existing talent and strategic goals? Did you institute training or mentoring programs? All of these activities show that you are aware of the importance of strategic talent development and management.